You must be a member of the Mexico City Cocktails, Wine & Spirits Group to attend this activity. Would you like to join this group? 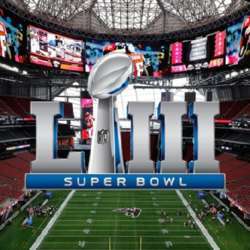 Once again, with the collaboration of the Sports Fans Group, we will spend together the most expected Sunday of the year: Super Bowl LIII! Will Patriots, the most loved and hated NFL team win their sixth championship? Will Rams confirm that they are the new team to follow? Who will win: experience or youth? Even if you don't have the answers to these questions or don't care about this fantastic sport, join us. You will meet buddies and make new friends while enjoying fantastic food and drinking your favorite beverage.